Sam Rivers is best known as a founding member and bassist for the band Limp Bizkit. 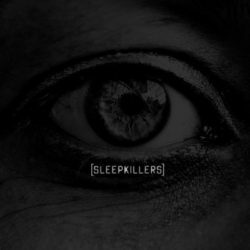 His new band Sleepkillers which includes Damien Starkey, Bobby Amaru and Adam Latiff is set to release its debut self titled album on January 25, 2019. 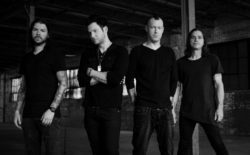 Media Mikes had the chance to speak with Sam recently about the group’s formation, the new album and their video for the song “Dirty Foot” which premiered Nov. 2. Adam Lawton: How did Sleepkillers come together? Sam Rivers: As far as the writing that went into this first record goes it was me and Damien Starkey. I was living in Jacksonville at the time and we had been talking on the phone about getting together and doing some jamming. I ended up going over to his studio and after a couple of hours of just having fun we had the basis of three songs. We wanted to keep going so we just dove in. Soon after that Limp Bizkit was going back on tour and Damien had some stuff of his own going and we kind of lost touch. During that time we had both played the tracks for people and they kept saying we should turn what we had into a full length record. About a year and a half later we reconnected and after a couple bumps in the road we are here now with a finished record. AL: At what point in time did the rest of the band come together? SR: Bobby Amaru came in when we were still working on some of the songs. He helped us really turn things around. Adam Latiff didn’t come in until later. This was going to be just a small project for Damien and me but we took it further and needed people to play live. Bobby wanted to play drums and we couldn’t disagree. He may be the singer of Saliva but he is one hell of a drummer! Adam was a friend of Damien’s for a long time and now he and I are friends and he is just a great fit and an amazing guitarist. AL: Did returning to the material over a year later cause you to change any of the initial recordings? SR: I think the sound was really already there so we just rolled with it. We worked really hard at making sure everything blended together and matched up and I think we did a good job. We had that initial vision from when Damien and I first got together and that’s what we stayed with. AL: Do you see Sleepwalkers as being more of a side project or, something you hope to do full time? SR: I think we are going to go with it. Right now it’s just a great time. Our plan for right now is to push out as much material and content as we can. That will help us find our core fans which we can build tour and things like that around. I think the biggest thing right now is for us to get this record out and show people that we are a band. As time goes on we are going to evolve so this will be something we do full time but it’s going to be wrapped around our other work. AL: What can you tell us about the first single “Dirty Foot”? SR: That was a hard decision. Damien and I kept going back and forth between two or three different songs and we just couldn’t decide. We played it for a few close friends and they all had different picks. This was really odd because we had thought they would choose at least one of these three. That wasn’t the case so that didn’t really help. We took it to some of our peers and people who we really respected and let them listen to it and then sit on it for a bit. That gave us a different view on things. We still hadn’t agreed that “Dirty Foot” was going to be the one but after everything we decided that it had everything we wanted to showcase in our first single and we went with it. AL: Can you tell us about the video you just released for the song? SR: We had been trying to find someone who was not only in our budget but someone who was going to put their one hundred and ten percent in to this as well. We talked with David and gave him some of our ideas and from there he just ran with it. We just gave him the clearance so from there we could see what he could come up with. Our biggest thing was once we found someone we wanted to get behind them and stick with them. That’s not to say we won’t ever work with anyone else but we wanted to really see what David could do and open it up to keep going. AL: Has there been any talks of touring in support of the release? SR: That’s something we are planning and look to do at some point. We do have a few shows currently lined up which we will be streaming worldwide. There is no way we can hit Europe and all those places at one time so we thought this would be a cool way for us to get to those places and give them a feeling for what one of our shows is like.